On Sunday mornings from 9:30-10:30 AM, i lead the worship music team at Sequim Bible Church, 847 North Sequim Ave., Sequim, WA 98382. Please join us for a Christ-centered worship service featuring traditional hymns. Saturday Sept. 15, 7:00 PM and Sunday, Sept. 16, 2:00 PM – KSQM and Olympic Theatre Arts present “Remembering the Legendary New Orleans Clarinetist Pete Fountain, Featuring Craig Buhler.” With Chris Lee vibraphone, Al Harris piano, Ted Enderle bass, and Angie Tabor drums. Reserve your seats today before all the best seats are gone by calling Olympic Theatre Arts at 360-683-7326. Or stop by the box office at 414 N Sequim Ave (M-F, 1:00-5:00 PM). Or purchase tickets online at: https://bit.ly/2wfhHCP We hope to see you there. Saturday, Sept. 8, 7:00-9:00 – My “Dream Trio” returns to Wind Rose Cellars, Sequim. Chuck Easton guitar and Ted Enderle bass. Wednesday, Sept. 12, 6:00-8:00 – The Stardust Big Band, Port Angeles Pier as a part of the “Concerts on the Pier” series. October 7-12: Craig directs the Road Scholar Big Band Workshop at Hidden Valley Music Seminars in beautiful Carmel, CA. Calling all musicians! Saturday, August 25, 8:00 PM: HONK at The Coach House, San Juan Capistrano, CA for one show only. This event will likely sell out, so get your tickets early. Tris Imboden, newly retired from “CHICAGO,” returns to HONK for this special reunion appearance. Olympic Theater Arts presents “The Friends of Brubeck” and Elinore O’Connell in concert. This annual event has become a Sequim tradition. Get your tickets early to insure excellent seating. Friday, July 27, 7:00-9:30 PM, With the 18-piece The Stardust Dance Band at Olympic Cellars Winery. Professional dance instructor Guy Caridi from Seaatle will teach the dance steps to young & old alike. Tuesday, July 10, 6:00-8:00 PM, Sequim Band Shell. My quartet will provide the evening’s entertainment for The City of Sequim’s Music in the Park Series, featuring New York recording artist Linda Dowdell (piano), Jim Charlier (bass), and Angie Tabor (drums). Bring the whole family and enjoy a picnic on the lawn, while you listen to some wonderful warm jazz. Saturday, December 16, 7:00-9:00 PM, Wind Rose Cellars. Fine wine, great food, swinging music, neat people. A rare reunion with two of the Northwest’s premier musicians, bassist Ted Enderle and pianist George Radebaugh. We recorded 54 songs together a while back, and it is always a joy to work with these monster players. Saturday, December 16, Noon-1:00PM, Corner of Sequim Ave. & WA St: I’ll be directing the fourth annual all-Sequim Christmas carol sing-along. Please join your voices with ours in welcoming the Savior. Saturday, November 18, 7:00-9:00 PM, Wind Rose Cellars. Fine wine, great food, swinging music, neat people. I love working with pianist Mark “Shredder” Schecter and bassist Jim “Charlemagne” Charlier! Saturday, October 21, 7:00-9:00 PM, Wind Rose Cellars. Fine wine, great food, swinging music, neat people. I love working with pianist Mark Schecter and bassist Jim “Charlemagne” Charlier! Thursday, October 5, 6:00-9:00 PM, Hidden Valley Music Seminars, Carmel, CA: A gala banquet-dinner-concert-dance. I’ll be directing the Carmel Big Band. Saturday, September 16, 7:00-9:00 PM, Wind Rose Cellars. Fine wine, great food, swinging music, neat people. Wednesday, August 9, 16, 23, and 30, 10:00 AM to NOON, Joyful Noise Music Center, Sequim: A unique workshop for all musicians who wish to learn to play by ear, using Craig’s celebrated method, “New Ears Resolution.” To register, click here. Saturday, April 22, 7:00-9:00 PM, Wind Rose Cellars: Encore appearance of the cb warm jaxx trio, featuring Jim Charlier (bass) and Mark Schecter (piano). All ages, no cover charge. Wednesday, December 21, 7:00-10:00 PM, The Metta Room, Port Angeles, with my wonderful new quartet: Mark Schecter (piano), Jim Charlier (bass), and Chris Lee (drums). Great food, full bar, all ages, no cover, fine dance floor. We will offer music designed for dancing and listening. Saturday, December 17, Noon-1:30 PM: I’ll be directing the all-city Christmas carol sing-along at the NE corner of Sequim Ave. and Washington Street. All are welcome. Saturday, October 8, Downtown Port Angeles, with the Kevin Magner Band, as part of Art & Draft. October 2-7, Hidden Valley Institute, Carmel, CA: I will once again be directing the Road Scholar Big Band Workshop. Friday, September 16: With Honk in CA at a private function. Tuesday, August 16, 6:00-8:00 PM, Sequim Band Shell, Music in the Park with the Stardust Dance Band. Saturday, July 30, Wind Rose Cellars with Linda Dowdell and Elinore O’Connell. Wednesday, May 11, 6:00-8:00 PM, Wind Rose Cellars with Sarah Shea. Thursday, April 28, Seven Cedars Casino with The Stardust Dance Band. Tuesday, March 1 at noon in the Commons and Tues., March 8 at 6:00 PM in Meier Hall: Craig will be featured with the Peninsula College Jazz Band on the PC campus. Sunday, February 28, 10:00 AM with the Dungeness Community Church worship team. Saturday, February 13, 7:00-10:00 PM, Port Townsend American Legion Hall. The 17-piece Stardust Dance Band, directed by Craig Buhler will play for your dancing and listening pleasure. Sponsored by the PT USO. Friday, February 12, 6:00-8:00 PM, Wind Rose Cellars, Sequim with vocalist Sarah Shea, guitarist Chuck Easton, and bassist Ted Enderle. February 5-17: The Port Angeles Symphony presents the “Adventures in Music” series, featuring Craig (sax, flute, clarinet), Al Harris (piano), Ted Enderle (bass), and Tom Svornich (drums). The quartet will appear in schools across Clallam and Jefferson Counties with an educational program entitled “Music and Moods.” This presentation shows how musicians throughout history elicit various emotional responses as musical styles continue to evolve. Saturday, December 19, 6:00-8:00 PM, Wind Rose Cellars, Sequim. A special Christmas celebration with Sequim’s own Sarah Shea. Come enjoy great appetizers, superior local wine, and foot-tappin’ jazz featuring guitarist Chuck Easton and bassist Ted Enderle. Craig will bring an assortment of woodwinds. Saturday, December 19, 1:30-3:00 PM, Corner of Sequim Ave. and WA St. Join Craig Buhler for the second annual all-Sequim Christmas carol sing along. Spread the joy! Sunday, November 1, 6:00-6:20 PM, Sequim High School Auditorium: A 14-piece all-star big band will premier Craig’s brand new original arrangements of several beautiful hymns as part of Tim Richards’ 4-part series “The Faith Puzzle.” Check out the intriguing trailer video for a sneak preview of this exciting series. October 4-9: I’ll be directing the Carmel Big Band Workshop sponsored by Road Scholar (formerly Elder Hostel). Join us for a week of stimulating big band music along with other interesting musicians in the enchanting Carmel Valley. The food is gourmet, the setting gorgeous, the company invigorating, the music swinging! On Thursday, Oct. 9, we will offer the public a banquet / dance / concert. Hope to see you there. Thursday, August 6, 6:00-8:00 PM, Olympic Cellars Winery: With world-acclaimed jazz singer Greta Matassa and the Peninsula College Vocal Jazz Ensemble, directed by Elaine Gardner Morales. Friday, July 24, 6:00-9:00 PM, Camp David Jr., Port Angeles, WA: I’ll be directing the two big bands at the climax of the week-long Camp Heebie Jeebies final concert. Click here for more information, to register, to volunteer, or to contribute to this noble effort which has positively impacted the lives of countless young musicians. Friday & Saturday, July 18 & 19: At the Lavender Festival, Sequim WA with Sarah Shea and Chez Jazz: Friday, 3:30-4:30 PM, Main Stage, Street Fair. Saturday, 4:30-7:30 PM, Jazz in the Alley. Tuesday, June 23, The Royal Room, Seattle: Encore performance of the popular Friends of Dave Brubeck concert series. Saturday, June 13, 2:30-4:30 PM, Dedication of the new Sequim city hall. Friday, May 29, 6:00-9:00 PM, Stymie’s Grill, Sequim in a duo with Rufus. Sunday, May 17, 2:30-3:30, Fifth Avenue , Sequim, WA: My trio will present a special concert open to the public. Sunday, May 10, 10:00 AM, Dungeness Community Church, Sequim, WA: I’m arranging & conducting the 17-piece big band which will play a medley of hymns to open the service. 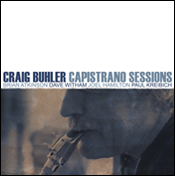 Friday, April 24, 7:00-9:00 PM: Dungeness Schoolhouse, Sequim, WA: The Peninsula Friends of Music Performance presents “Capistrano Sessions.” This will be a complete reenactment of Craig’s critically celebrated 2007 CD. Included in the 5-person ensemble will be Brian Atkinson (trumpet and vibes), a highly-respected virtuoso from Los Angeles who was staff musician at Disneyland for many years, former Seattle Symphony percussionist Howard Gilbert, Oakland transplant Mark Schecter bringing an energetic approach to the piano, and the wonderful Ted Enderle on bass. Also appearing will be the amazing husband/wife duo “Witherow.” The 100-year-old Schoolhouse is a picturesque historic landmark with great acoustics and a good piano. Friday, March 27, Meier Hall, Peninsula College, Port Angeles, WA: We have created a rigorously researched Dave Brubeck retrospective. This quartet project is led by the consummate New York pianist, Linda Dowdell and includes the wonderful Ted Enderle on bass and Peninsula favorite Terry Smith on drums. This is an excellent room with a good piano. Sat., February 21, 7:00-9:00 PM, Wind Rose Cellars, Sequim, WA: Craig will be leading a trio with a diverse and colorful repertoire. We will be introducing the innovative new pianist recently moved here from Oakland, Mark Schecter. Mark has roots in classical, jazz, and rock. Rounding out the trio is the superlative bassist, Ted Enderle. Tuesday, November 11, 6:00-9:00 PM, The Cellar Door, Port Townsend with guitarist Chuck Easton, bassist Ted Enderle, and drummer Tom Svornich. Please join us for a unique evening of fine jazz in our debut appearance with this quartet in Port Townsend. Saturday, November 1, 6:00-8:00 PM: The fifth annual Sequim High School Band Boosters fundraiser banquet and dance. The 17-piece Stardust Dance Band and the Sequim High School Jazz Band under the direction of Vern Fosket, Sequim High School dining room. Saturday, October 18, The Stardust Big Band will appear for your dining and dancing pleasure at the Oasis Sports Bar & Grill, Creamery Square, 301 E. Washington St., Sequim, WA. 98382. No cover charge! But PLEASE PURCHASE SOMETHING…A DRINK AND / OR FOOD, so we can keep this going! 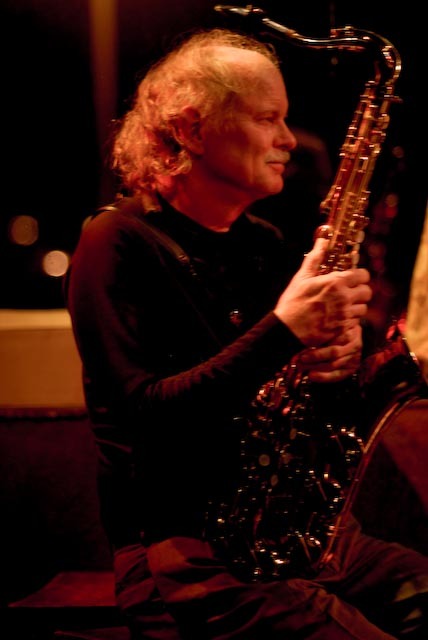 Sunday through Friday, October 5-10: Craig will be directing the big band workshop in Carmel, CA. CLICK HERE TO SIGN UP. For more information, CLICK HERE. Thursday night’s banquet / concert / dance will be open to the public by reservation. Wednesday, Sept 24, 7:00-9:00, Wind Rose Cellars, Sequim with virtuoso cellist Jesse Ahmann and pianist Al Harris. One night only. Don’t miss hearing this exceptional young musician. Friday, September 12, 6:00-9:00 PM at Styme’s Grill, Sequim with RUFUS, the uniquely talented singer, guitarist, and composer. You will enjoy his unique and varied musical menu from the Great American Songbook to favorites from the past 40 years. Sat., Sept. 6, Wind Rose Cellars, 143 W. Washington St., Sequim, WA (360) 681-0690, 7:00-9:00 pm, http://www.windrosecellars.com/ with Sarah Shea and Al Harris. Jan. 12, Jan. 26, Feb. 9, Feb 23, 2014: Four Sunday evening dance concerts with the 17-piece Stardust Big Band at the Sequim Elks Lodge, 143 Port Williams Road, Sequim, 5:30-8:30. This venue features a wonderful dance floor. All ages. $5 admission. Saturday, December 28 – 5:30-8:30 – The Stardust Big Band will appear for your dining and dancing pleasure at the Oasis Sports Bar & Grill, Creamery Square, 301 E. Washington St., Sequim, WA. 98382. No cover charge! But PLEASE PURCHASE SOMETHING…A DRINK AND / OR FOOD, so we can keep this going! Saturday, December 14, 6:30-8:30, Wind Rose Cellars, Sequim, with pianist Linda Dowdell and bassist Ted Enderle. 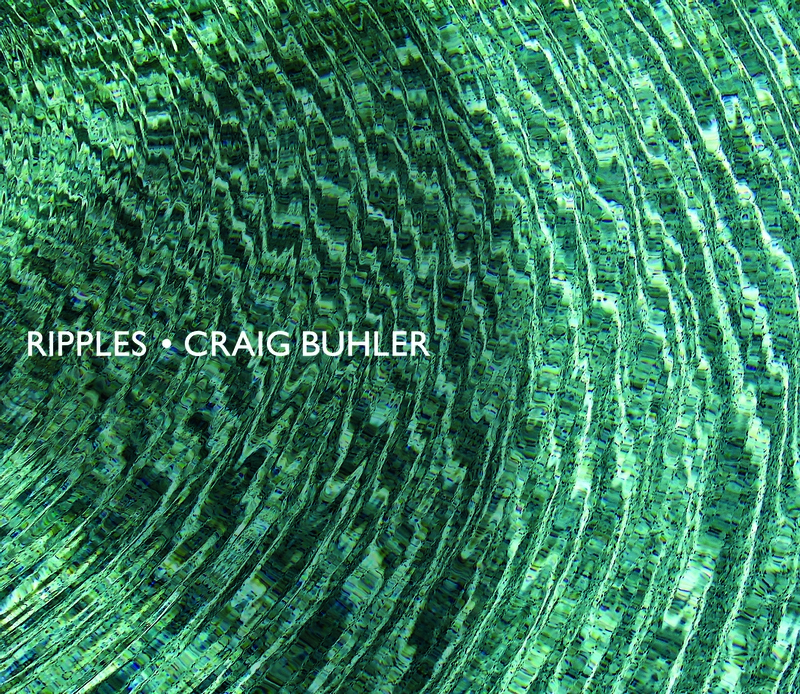 We’ll feature music from our CD Ripples as well as some special Christmas jazz. Saturday, November 23 – 5:30-8:30 – The Stardust Big Band will appear for your dining and dancing pleasure at the Oasis Sports Bar & Grill, Creamery Square, 301 E. Washington St., Sequim, WA. 98382 No cover charge! But PLEASE PURCHASE SOMETHING…A DRINK AND / OR FOOD, so we can keep this going! Sunday, October 27 – 5:30-9:00, The Stardust Big Band at the Sequim Prairie Grange, macleay hall, 290 Macleay Road, Sequim, WA. $5 cover charge per person covers the rent on the hall and gas money for the musicians. Saturday, October 19 – 6:00-9:00, Sequim High School Dining Room: A gala dinner / dance to benefit the Sequim HS Band Boosters, featuring the Stardust Big Band and the Sequim High School Jazz Band under the direction of Vern Foskett. Sunday, Sept. 29 – 5:30-9:00, The Stardust Big Band at the Sequim Prairie Grange, macleay hall, 290 Macleay Road, Sequim, WA. $5 cover charge per person covers the rent on the hall and gas money for the musicians. Saturday, Sept. 28, 6:00-8:00, Benefit for Friends of the Fields with Linda Dowdell at Sunland Golf Clubhouse, Sequim. Friday, September 13, 6:30-8:30, Camaraderie Cellars with the stunningly talented Linda Dowdell on piano, direct from New York. No cover charge. Friday, September 6, 6:30-8:30, Wind Rose Cellars with virtuoso guitarist Chuck Easton and fine young bassist Taylor Ackley. No cover charge. Saturday, August 31, 6:30-8:30 Wind Rose Cellars : This will be a first time appearance for a unique combination of musicians. The excellent pianist George Radebaugh along with a “new discovery” (for me, that is), the unique styling of guitarist / singer Trevor Hanson . No cover charge. Sunday, August 25, 5:30-9:00 PM, Seven Cedars Casino, Sequim, WA with the Stardust Big Band. Our final appearance in this venue. Saturday, August 10, The Stardust Big Band appears at the FORT DISCOVERY UNITY OF EFFORT ON SHORES OF DISCOVERY BAY, WASHINGTON. Friday, July 26: The Second Annual Jazz at the Schoolhouse, with Linda Dowdell, Ted Enderle, Terry Smith, and special guest, from New York, the fabulous singer Elinor O’Connel. Friday and Saturday, May 31 & June 1: The legendary HONK Band reunites with all original members, including “Chicago” drummer Tris Imboden for 2 California shows. Friday at the Coach House, Saturday at San Marino High School. Saturday, October 20, 6:00-9:00 PM, Sequim High School Cafeteria, with the Stardust Big Band in a dinner dance to benefit the Sequim High School Band Boosters’ Association. Tuesday, August 28, 6:00-8:00 PM, Carrie Blake Park, Sequim, WA with the Stardust Big Band. Tuesday, August 14, LAX Jazz Club, Crowne Plaza, LA Int. Airport, 5985 W. Century Blvd., Los Angeles 90045, 310.642.7500 : The long-anticipated reunion of “Storyville.” Please RSVP at the Storyville Facebook page. This most unique ensemble is comprised of HONK member Craig Buhler along with bassist Jack Prather, trumpet & vibes man Brian Atkinson (Disneyland Band), popular trombonist Dan Barrett, and first call L.A. session players Karen Hammack (piano) and drummer Paul Kreibich (Ray Charles Band). Their repertoire is amazingly diverse spanning jazz history from Louis Armstrong to Wayne Shorter, pop icons from Benny Goodman & Nat King Cole to Bob Marley & Steely Dan (hear sample recordings here). Saturday, August 11, 5:15-6:15 PM (subject to schedule slippage), Doheny Beach State Park, Dana Point, CA with HONK. “Chicago” drummer Tris Imboden will play with the group on this special reunion (with all original members). Sunday, August 5, 1:00-2:00, McComb Gardens Concert Series, Sequim, WA with pianist Linda Dowdell, bassist Ted Enderle, and drummer Tom Svornich. 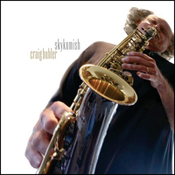 This concert celebrates the release of Craig’s 9th jazz CD recently recorded by this same ensemble. Friday, Saturday, & Sunday, July 20-22, 2:00-5:00 PM, Port Williams Lavender Farm, Sequim WA, as part of the Sequim Lavender Festival, with pianist Al Harris & bassist Ted Enderle. 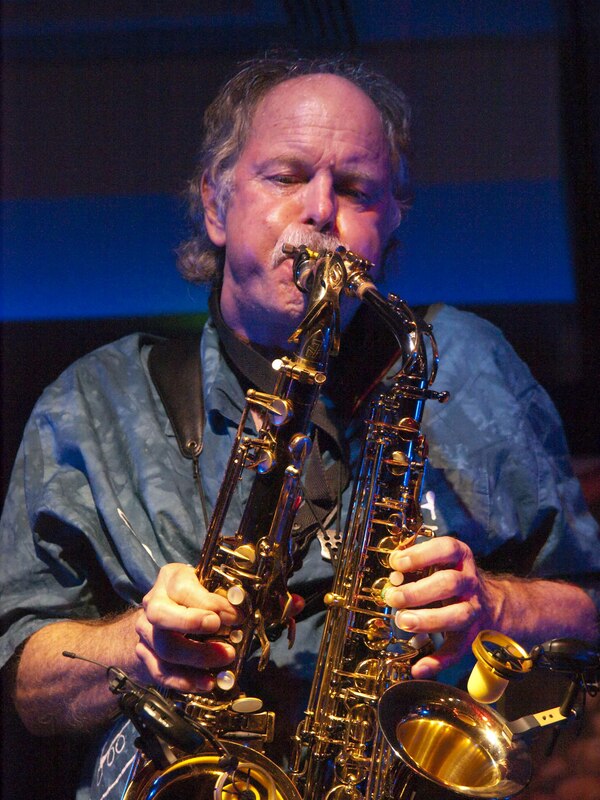 July 1-July 6: Saxophone & Improvisation Teacher at Camp Heebie Jeebies, Camp David Jr., Port Angeles, WA. The final concert will feature 3 big bands & numerous small groups, is free, and open to the public. Parking & seating are limited, so plan to arrive early for the 6:00 PM downbeat. Monday, June 4, Marine Room, Laguna Beach, CA: The long-anticipated reunion of “Storyville.” Please RSVP at the Storyville Facebook page. 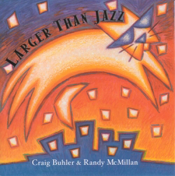 This most unique ensemble is comprised of HONK members Craig Buhler & Will Brady along with bassist Jack Prather, trumpet & vibes man Brian Atkinson (Disneyland Band), and first call L.A. session players Karen Hammack (piano) and drummer Paul Kreibich (Ray Charles Band). Their repertoire is amazingly diverse spanning jazz history from Louis Armstrong to Wayne Shorter, pop icons from Benny Goodman & Nat King Cole to Bob Marley & Steely Dan (hear sample recordings here). Saturday, June 2, 2012, revised date 7:30-11:00 PM: HONK will return to the Coach House in Capistrano, CA. Tris Imboden hopes to appear with HONK for this special reunion concert, if his schedule with “Chicago” permits. Monday, April 23: Stardust will appear with the U.S. Air Force Falconaires. Details to follow. Friday, March 30: CANCELLED: Sarah Shea is under the weather. Saturday, March 17, 5:45-7:00 PM, benefit for Pt. Angeles Symphony. Click here to purchase tickets. Friday, January 13, 7:30-9:30-10:00 PM, Wine on the Waterfront, Port Angeles, WA with pianist Linda Dowdell & bassist Taylor Ackley. SEE THE WRITEUP. Friday, September 16, Wine on the Waterfront, Port Angeles, WA with pianist Linda Dowdell. SEE THE WRITEUP. Tuesday, August 30, 6:00-9:00 PM, Sequim Band Shell with the Stardust Big Band. There will be dance instruction with Carol Hathaway and a feature length move as well. Saturday, July 30, 7:00-10:00 PM Wine on the Waterfront, Port Angeles with Chez Jazz: CD RELEASE PARTY FOR THE BRAND NEW DEBUT CD OF SARAH SHEA! Sunday, July 24, 5:30-9:00 PM, Seven Cedars Casino, Sequim, WA with the Stardust Big Band. THIS IS A REVISED DATE. Friday thru Sunday, July 15-17, 2:00-5:30 PM & Saturday 7:00-9:30 PM: Port Williams Lavender Farm, Sequim, WA, as part of the Sequim Lavender Festival. We celebrate our seventh season with Mike & Sue Shirkey at their wonderful farm, always a highlight of the year. July 3-9: Teaching at Camp Heebie Jeebies, Camp David Jr., Lake Crescent, WA. There will be a gala concert — open to the public — on Friday, July 8 at 6:30 PM. May 1-7: Teaching improv at the NW Big Band Workshop. A gala concert and dance will be open to the public and will feature the 2 outstanding big bands from the workshop. This event will take place at the American Legion Hall in Port Townsend, WA on Friday, May 6. Monday-Saturday, July 12-17, Orchestra of the Balalaika and Domra Association of America annual convention, Minneapolis, MINN; guest clarinetist & flutist. Monday-Friday, July 5-9, Camp David Jr. (west of Pt. Angeles on Lake Crescent) teaching at Camp Heebie Jeebies Jazz Camp. Final concert is Friday, July 9, 6:30 PM. 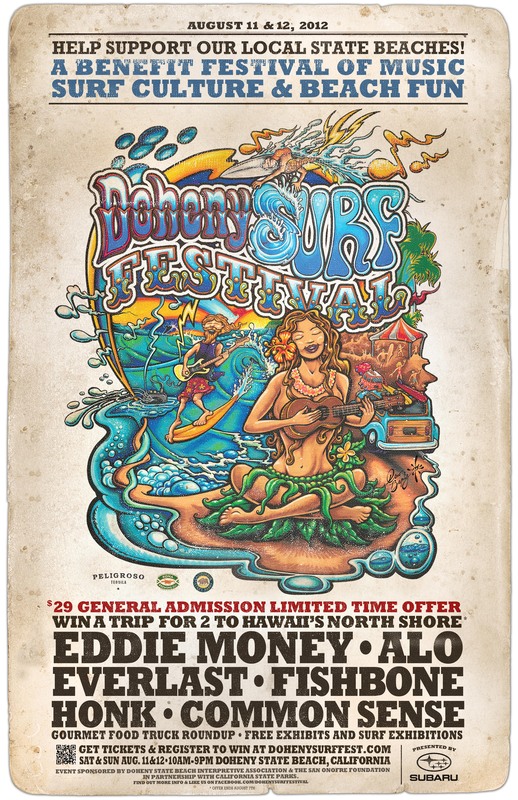 Friday, February 5, 2010, 6:00-11:00 PM, Maui, Hawaii with Steve Grimes & “Mojo Gumbo” See their video here. Friday, January 8, 2010, 6:00-9:00, Styme’s Bar & Grill, Sequim, with Sarah Shea & Al Harris. Sunday, July 19, 2:00-5:00, Dana Point, CA with the HONK Band http://www.danapoint.org/index.aspx?page=68&recordid=2136&returnURL=/index.aspx?page=173 (CLICK ON “flier”. Sunday, June 21 & Monday, June 29, 5:30-9:00, Seven Cedars Casino, Sequim, WA with the Stardust Big Band. Saturday, June 13, 7:00-10:00, Valley Tavern, Hadlock, WA with the Dukes of Dabob (Dixieland). Fri., May 2 & May 9, 2008 with virtuoso guitarist Mike Hamilton at Savannah Steak & Chop House, Dana Point, CA, 7:00-11:00 PM. Sat., May 10, 2008, with HONK at the Coach House, San Juan Capistrano, CA. Opening act: The Missles of October. Fri. & Sat., July 20 & 21, 2:30-5:30 PM and Sun., July 22, 11:00 AM to 2:00 PM, Port Williams Lavender Farm, Sequim – The new Craig Buhler Quintet featuring Ed Donohue (tpt), George Radebaugh (pno), Robert Matthews (bass), Tom Sovornich (dms). On Friday, we will feature Bob Woll (piano) & Jim Fink (bass) from Seattle and Howard Gilbert (drums) from Quilcene along with Ed & Craig. 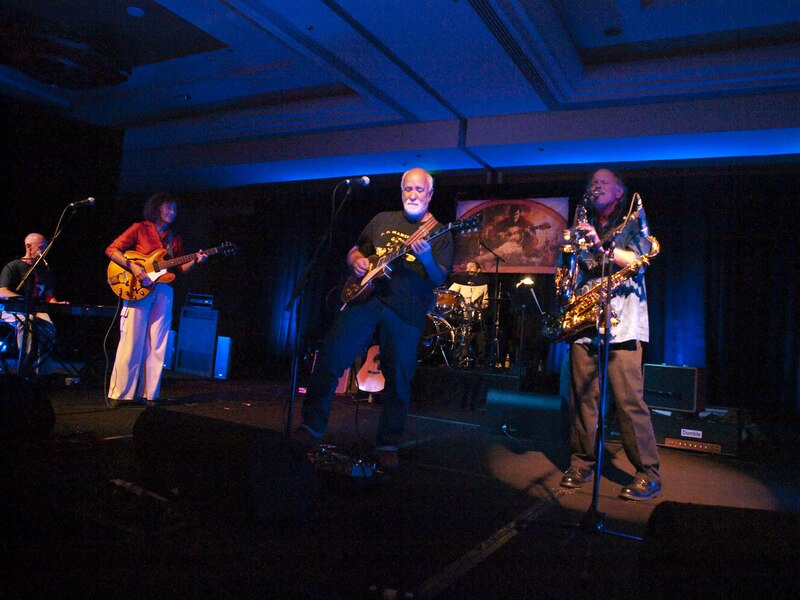 Fri & Sat., July 20 & 21, 8:00 PM to Midnight, Back Stage, Port Townsend – Dance / concert with Steve Grimes’ wonderful band from Hawaii featuring Cliff Collins on bass & vocals. Sat., September 15, The Coach House, San Juan Capistrano, CA with the HONK Band. Sat., November 3, Balboa Pavillian, Balboa, CA – With HONK for the Children’s Orthopedic Hospital (CHOC) benefit. I was trying to get Steve Grimes and got your website. WOW! 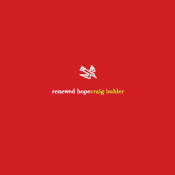 Craig what a great site you have–your musical history right here! Bill and I will definitely be going on September 1 to hear you all play at Pt. Townsend. Do you know if the tickets are on sale yet? i just spoke with Elmer Ramsey, and he is excited about having you on board. It should be an enjoyable and musically rewarding week for us all. The people who come are wonderful and many are first-class players. i’m so glad you are having an exciting time in Palm Springs, but we can’t wait to have you back up here. i’ll try to sniff out a combo gig or 2 in addition to the big band dates. Thank you for that encouraging word, Brian. So glad you enjoyed (and still remember that record. We had a blast making it. You will be surprise to hear the “bonus cuts.” Actually, it is a second LP we cut for 20th Century which they failed to issue at that time. Hope you like it as well. By the way, did you ever hear the LP HONK cut for Epic Records? I am rather proud of that one, as I think we were all playing, singing, and writing better than ever at that later point. Plus it includes the propulsive bass work of my good friend Will Brady. HONK will be at The Coach House this Saturday, April 2, 2016. We look forward to that reunion concert. Many long-time friends usually turn up at the annual concerts.